method. The actual micrometric measurements which have been made of these satellites with the largest telescopes give results which vary considerably among themselves. Hence the interest in trying the interferometer method. 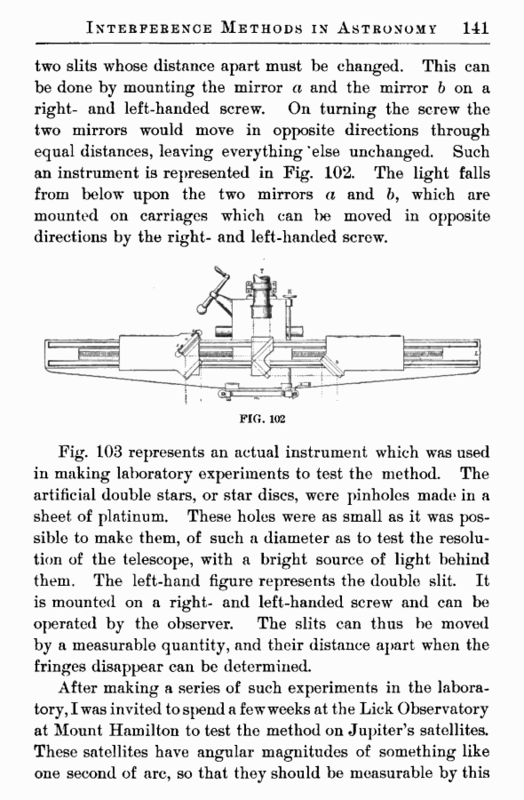 The apparatus used was similar to that shown in Fig. 103, /. 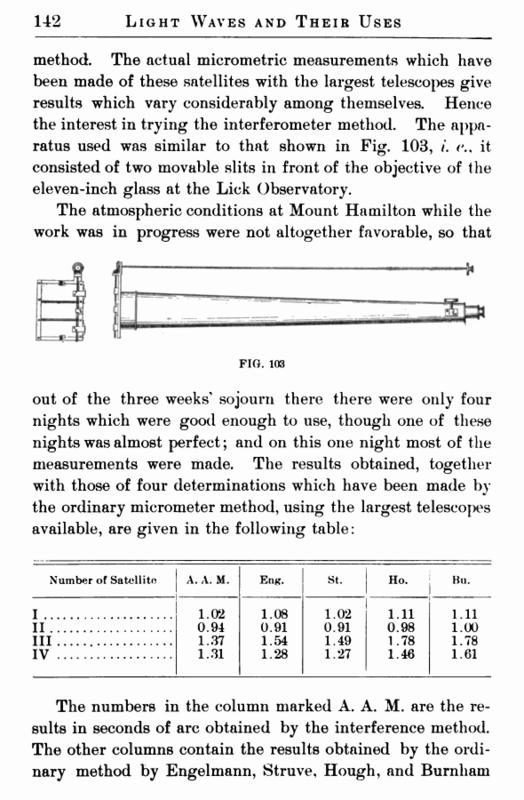 it consisted of two movable slits in front of the objective of the eleven-inch glass at the Lick Observatory.